A non-profit group is raising money to pay for the release of all 32 workers who were arrested in an immigration raid in Mount Pleasant earlier this month. While a few could pay the $10,000 bond, most are struggling to raise the money. 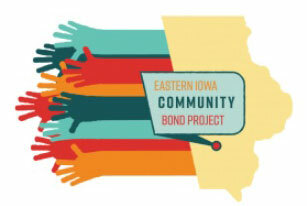 Natalia Espina, cofounder of the Eastern Iowa Community Bond Project, says freeing the men means they can help to support their families. “Just being able to do that from your home and return to your family, minimize trauma to kids, minimize separation of families, all of those moving pieces,” Espina says. “It makes a huge difference to be able to assist somebody to get out on bond.” The group’s legal director, Julia Zalenski, says those who can get out of detention have a better shot at making their case in court. “Really we’re just trying to facilitate access and make sure that poor people who are taken into immigration court do not get more unfavorable outcomes than people who have financial resources,” Zalenski says. “So, that’s really what this is all about.” In the days since the raid, the group has raised around 60-thousand dollars. That’s more than it raised in all of last year.